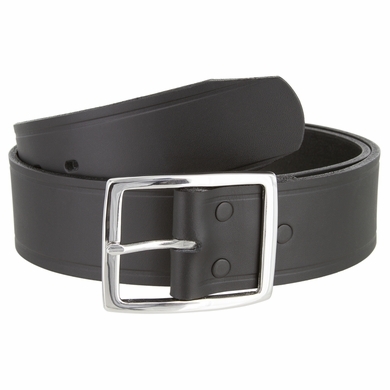 1 3/4" Top Grain Leather belt with subtle grooves down the sides. Comes with a 1 3/4" Solid Polished Nickel Finish center Belt Buckle. Questions? Comments? Prefer to order over the phone? Call us toll-free at 1-888-682-3587 or Choose a Size then add to your shopping cart.